The Partnership for Assessment of Readiness for College and Careers (PARCC), one of the state consortiums that has developed online testing based on the Common Core State Standards, has yet again released test items from its 2015-2016 assessments. The content includes actual questions from last year's exams and covers grades 3—8. 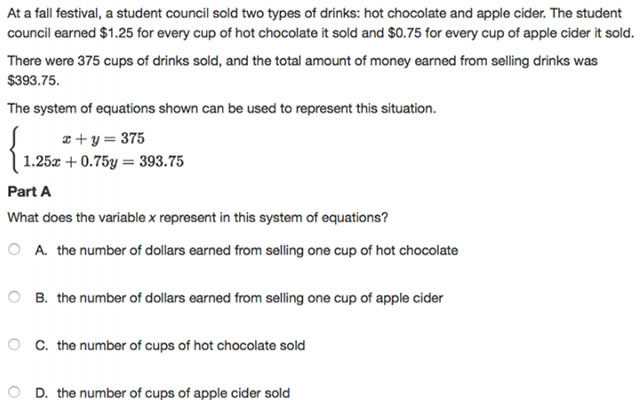 A math problem (above) taken from an actual PARCC exam issued last year. This is the second year in a row that PARCC has made the materials available. The goal, according to the consortium, is "to give teachers a powerful tool to inform and improve classroom teaching and learning." The idea is that teachers can use the items to guide classroom learning and to help students prepare for the upcoming spring assessments. The content is broken out by grade level, subject, resource type, and resource name. 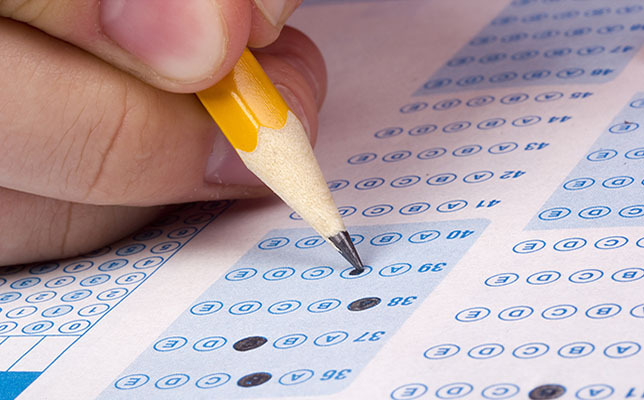 The items included in a given document represent "approximately" one full test per grade level for English language arts and literacy and math. The same site also includes scoring rubrics for the test questions, as well as learning standards guidelines to illustrate which competencies are being measured by each question. Some of the documents offer anonymous student responses for each of the five PARCC scoring levels to show teachers what kinds of answers earn the various scores. The "PARCC Released Items" are maintained on PARCC's Partnership Resource Center site.